As loved ones age, it’s important to stay on top of their health. 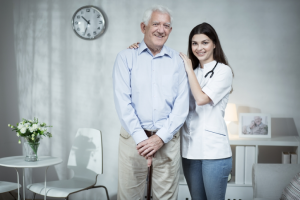 You know to be on the lookout for signs of heart disease or diabetes, but you should also pay attention to these three aspects of senior health that are often overlooked. Although some loss of cognitive function is to be expected during aging, you should still encourage your senior to actively maintain brain health. Brain specialists explain that studies indicate that daily exercise improves cognitive function by keeping brain cells healthy and reducing chronic stress. Research also shows that regular volunteering can improve memory skills. Other methods of boosting memory include meditation, word puzzles and social interaction. The health of the mouth can affect the health of the whole body, so it’s important to pay attention to oral wellness. Dentists say that the major causes of oral health problems are from gum disease, oral care neglect due to other conditions like arthritis, dementia, etc. and Dry mouth. When arthritis or other mobility conditions make it hard to brush or floss, seniors are at increased risk of developing gum disease. Brushing and flossing twice a day is essential. You may need to perform this task if it’s too difficult for a loved one to do on his own. Rinsing with mouthwash can help as well. To reduce dry mouth, it’s important that seniors drink eight glasses of water each day. Chewing gum can provide temporary relief. If dry mouth is caused by medications, you should discuss alternative prescriptions with a doctor. With age, the structure of the foot can change, and that can lead to pain and other mobility problems. Podiatrists recommend looking at your loved one’s feet regularly. Be on the lookout for calluses or corns; treat these with warm water soaks and gentle filing. You should also apply lotion and trim the nails as needed. Shoes that fit well can greatly improve foot health. Have a fitting done so you can be sure that your loved one is wearing supportive shoes and ones that don’t pinch. Paying attention to all aspects of senior wellness means that you’re doing your best to keep your loved one as healthy as possible. Not only can this grant you peace of mind, but it can also help your senior friend or family member enjoy a good quality of life for many years.